If you plan to travel by air this holiday season, now is the time to book your flight—if you haven’t already done so. According to Dean Headley, co-author of AirlineQuality Rating and associate professor of marketing at Wichita State University, demand for airline travel is expected to remain strong through the holiday travel weeks around Thanksgiving and Christmas. You might even say it will be challenging. Ticket prices are higher then, and the possibility of bad weather and system glitches can make traveling at this time a stressful experience. Additionally, December and January typically have worse on-time arrival percentages and mishandled baggage rates than any other months. Fees continue to be a reality, so plan for added costs for checking luggage or choosing seats since these impact the final price you pay to travel by air (not only during the holidays). “At some point a traveler needs to make the call as to whether the holiday visit is worth the price and the hassle,” Headley says. If you’re going to do it, here are tips to make holiday travel less stressful. Be flexible. Midweek or Saturday flights are usually less expensive. Or consider flying on the holiday itself. Go early. Travel well before the holiday, if possible. Also, early morning flights are less likely to be delayed. Choose your airport carefully. 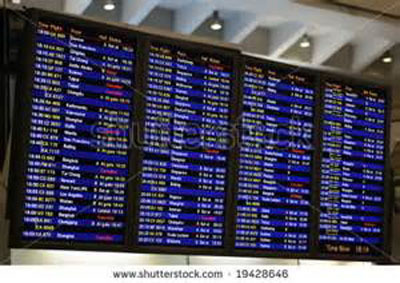 Assuming fares and service are equivalent on flights you are considering, choose the least congested airport for making connections. Pay with credit. Booking a ticket with a credit card usually provides certain protections, especially if you’re due a refund. If you use the airline’s loyalty card, you may also get free checked luggage and priority boarding. Confirm information on itinerary. Be sure your name is the same on your photo I.D. as on your ticket. Check that airports, dates, and times are correct. Re-check departure and arrival times before leaving. Schedules change. Enough said. Check in early, and arrive at the gate early. You can do this online up to 24 hours prior to your flight. You might lose your reservation if you’re not at the gate 15 minutes before scheduled departure on a domestic flight. If a flight is oversold, the last passengers to check in are the first to be bumped, even if they have met check-in deadlines. Watch as baggage is tagged. Be sure the agent attaches a destination tag on each checked bag with the correct three-letter code for your destination airport. Bring holiday cheer. 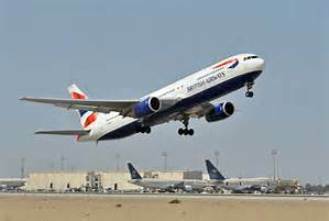 If you are self-reliant, informed, and prepared, you can eliminate many of the hassles of flying. Especially during this season, share the holiday spirit and a smile with fellow travelers.